The Cabildo’s sale of the Casino Playa de las Americas in Tenerife has stalled, with potentially damaging consequences to the local economy. 12.11.2014 - The casino complex - one of three on the island put up for sale this April - was offered at €20.8 million as the authorities sought to withdraw from the gaming industry. As the only one of the three to have shown a profit in recent years the Casino Playa de las Americas was widely anticipated to be snapped up, but despite interest from three different bidders none was prepared to commit to the project in line with the Cabildo’s mid-September deadline. Since that time the project has been in a state of uncertainty, with potentially damaging consequences for the local economy in terms of both tourism and employment. There is a growing fear amongst the project’s advocates that the global rise in online gaming will mean that if the casino project is not advanced within the near future it will effectively arrive too late to be viable. 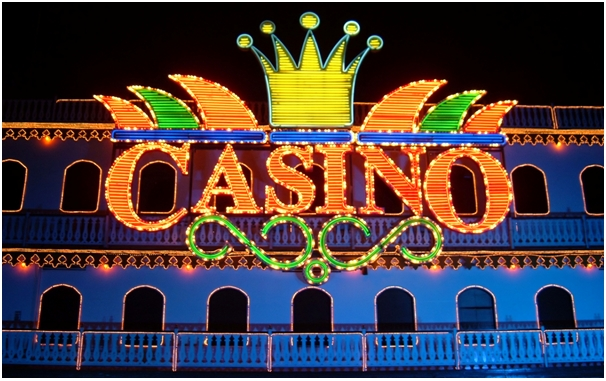 Across the global marketplace there is a steady migration of business away from bricks and mortar establishments to online casinos - it has been estimated that as much as 40% of all gaming will take place online as early as 2017. In the face of that steady pull away from land-based casinos it is feared that the Playa de las Americas redevelopment may not be able to establish a commercial identity in time to buck the international trend. There are already websites such as http://onlinecasinobluebook.com/eu that act as - in effect - travel agents, steering online gamers towards the best sites for their gaming requirements. Given that online providers are able to operate with lower fixed costs than traditional casinos and that they are less vulnerable to the sort of local political complications that have bedevilled the Playa de las Americas project, that concern over online competition is well founded. Expressions of interest in the Playa de las Americas site from initial bidders the Orenes Automatic Canarios Group, Hotel Oasis Paraiso and Barceló Hotels Canarios have all failed to develop into formal offers, despite the heavyweight involvement of former Minister of Foreign Affairs Abel Matutes. A complicating factor is the involvement of trade unions in the process of negotiating the sale. Wrangles over the job security of established workers remains a prominent concern, and from a potential buyer’s perspective this was not aided by the opposition of the CCOO union’s fundamental opposition to the sale itself. The project is fraught with political as well as commercial complexity. A further consideration of any prospective buyer is the limited operating licence that was being offered as part of the deal. Eight years is not a long time to recoup an outlay that would, inevitably, extend well beyond the initial €20.8 million sale price. As things stand the future of the development remains entirely up in the air, and the same is also true of the casino facilities at Puerto de la Cruz and Santa Cruz that are also up for sale. But whilst the situation on Tenerife is on hold, what are effectively rival projects elsewhere around Europe are progressing. And all the while, the impact of the online gaming market continues to grow. It is a backdrop which means the current impasse in Tenerife is particularly ill-timed.